You are ready for any social occasion in these Valentino Rockstud sandals, featuring a caged T-strap vamp and step-securing slingback strap. Polished leather upper with pointed toe. 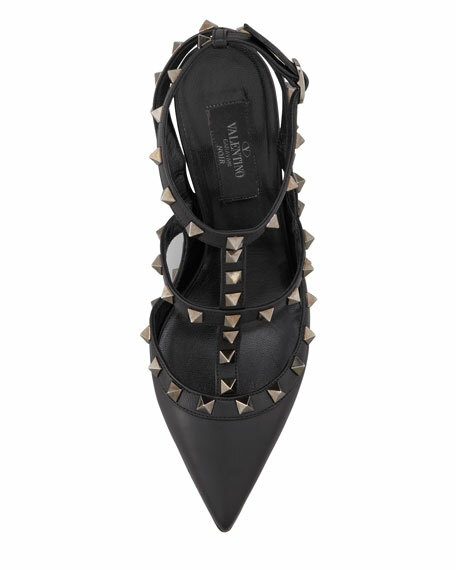 Signature Valentino Rockstuds adorn strappy upper.